The situation with North Korea is rapidly coming to a boil and US President Donald Trump says he is ready to address North Korea with or without the help of China. 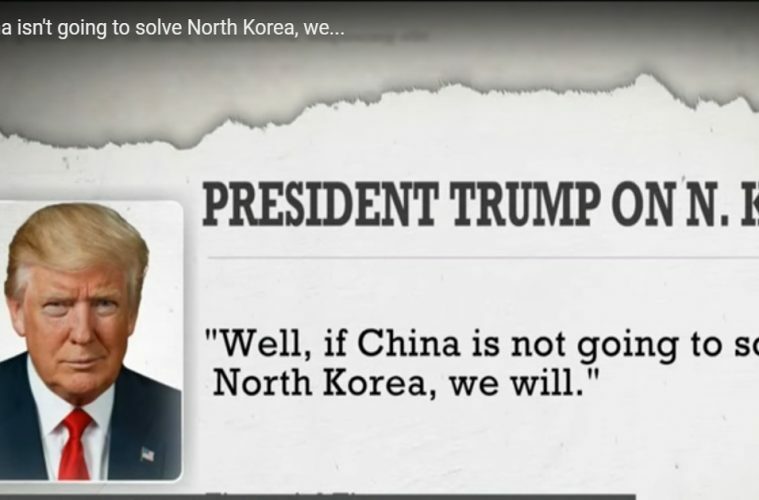 It would be easier to have the cooperation of the Chinese government, but if they are not prepared to help, then Trump is ready to go it alone. President Trump has said the United States is ready to act alone against North Korea’s nuclear program if China does not take a tougher stance, just days before he hosts Chinese President Xi Jinping at his Mar-a-Lago estate in South Florida. Trump made the comments in a Financial Times interview posted Sunday on the newspaper’s website. Trump added that the United States could “totally” handle the situation in North Korea without China’s help. While China provides diplomatic and economic support to its neighbor, it claims that its influence over Kim Jong Un’s government is limited.